We’re on the road – Day 17 We found Finland – twice ! KIITOS – is thank you in Finnish. 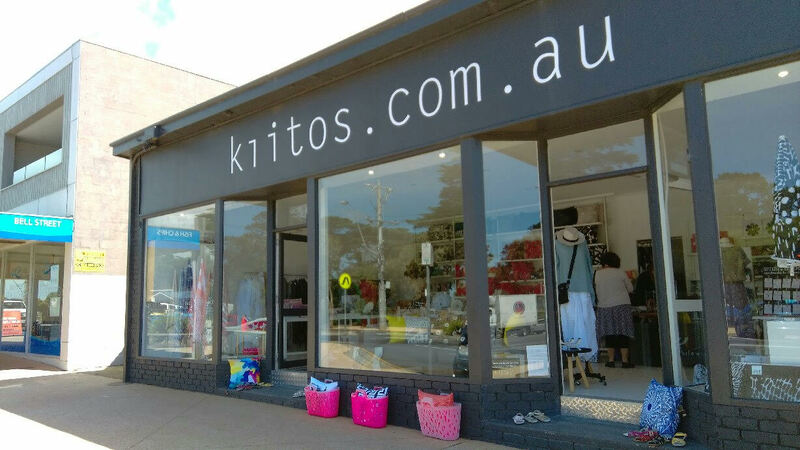 We found these two shops this morning – one in Barwon Heads the other in Torquay. 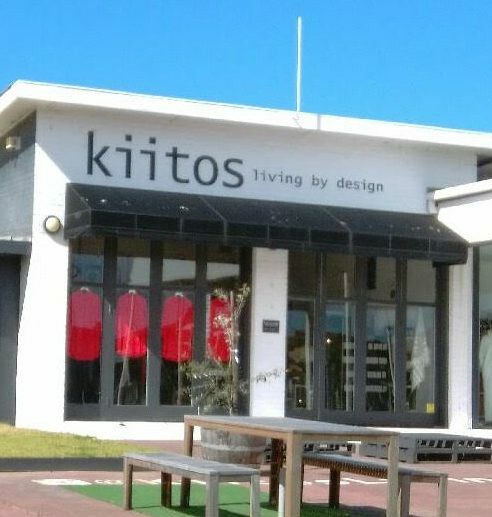 They sell a selection of the famous Finnish Marimekko brand of textiles and products as well as a whole range of others designer label brand items in the kitchen, accessory and clothing range. Not cheap, but I indulged – just a little. Much to TRH’s horror. 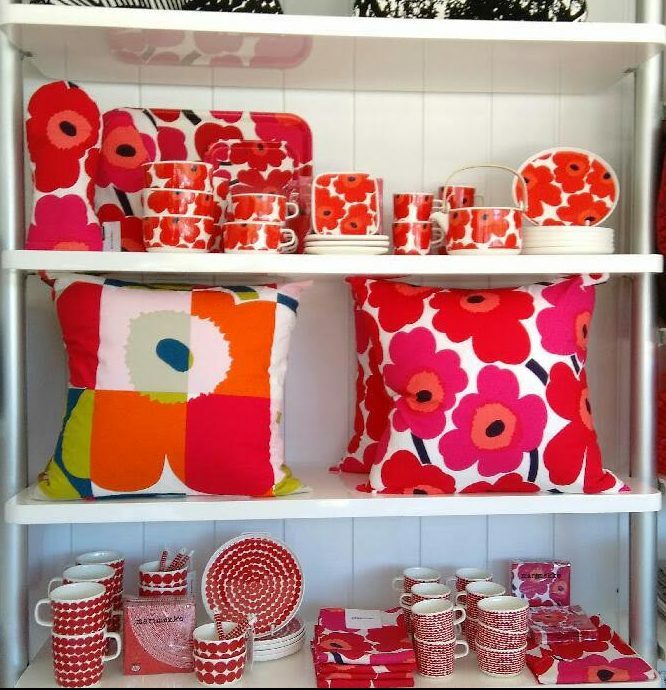 Unikko – the pink flower – is the internationally recognised logo for Marimekko. From Kiitos we sped our way onto the Great Ocean Road. Beginning at Torquay, it has so far been full of S bends, U bends, hair pin bends, curves and swirls. Thankfully no white outs and death drops. Well, not as bad. On one side we had cliffs and mountains, on the other the ocean. There were safety barriers. There were warning galore. There were countless speed restrictions. There were road works where there had been landslides only a month ago. A popular, National Heritage listed tourist attraction has been in crisis since September. Storms and flooding closed a 60km stretch. It has only very recently been re-opened to the public. $2 million dollars of funding has been approved to build concrete retaining walls at three locations. We could see evidence of the work having commenced. Christmas Day 2015 long sections of the road were closed as bushfires ravaged the region. 116 homes were lost and many of the popular tourist towns were evacuated. We could see evidence o f the fires as we drove through whole sections of burnt hills. Even the spacrse vegetation on the coastal side of the road had been burnt. Unfortunately the Add Media function of my blog is not functioning well today. Some of the photos I wanted to showcase just will not upload. Anyway, these will give you some idea of the scenery and conditions we drove through today. TRH drove sedately. And stopped on cue (most of the time) for photo opportunities of which there were many. The scenery was stunning. Construction of the Great Ocean Road was a government funded project. 243 kilometres long it was built by returned soldiers between 1919 and 1932. Dedicated to soldiers killed during WW1 it is the world’s largest war memorial. At the stretch of the road nearest to Geelong (where we were today) the road meanders along the coast with tall, almost vertical cliffs on the other side of it. Construction was mainly by hand using explosives, pick and shovel wheelbarrows and some small machinery. The returned soldiers, some 3,000 of them, were paid 10 shillings and sixpence for eight hour days including a half Saturday. 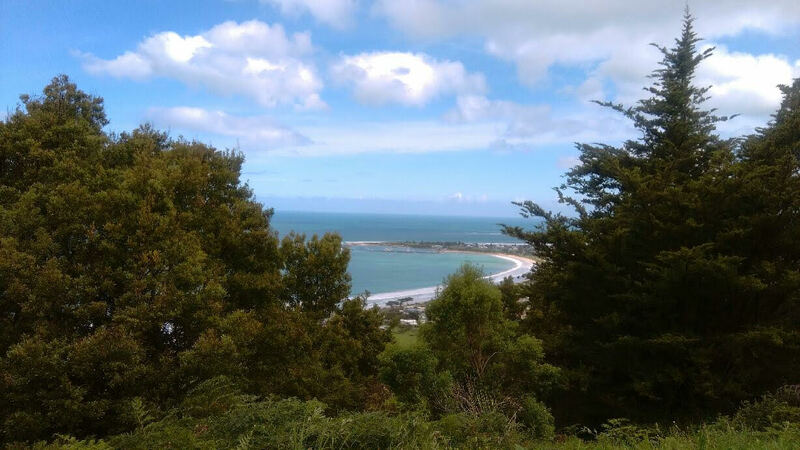 A 45 kilometre section between Lorne and Apollo Bay is the location for the annual “Great Ocean Road Marathon”. First run in 2005, the current marathon record of two hours, 27 minutes and 42 seconds was set in 2011 by James Kipkelwon of Kenya who also won the event in 2012. In July 2014 the former World Road Cycling Champion and Tour de France winner Cadel Evans announced the Great Ocean Road Race for elite athletes and a mass participation People’s Ride. We have seen evidence of cyclists all along the Victorian Alps and this road. Cycling is obviously alive and well here. Tonight we are staying in Apollo Bay having driven about 100 kilometres. The going was slow because of the twisting winding roads – and the plethora of photo opportunities that just had to be taken along the way. I had completely forgotten about Marimikko. In the 1960’s I had so much of this textile in my apartment. Enjoy the remainder of your trip. Thanks Bernadette. You had it at it’s beginnings – I bet it was a lot cheaper then ! What cheerful pillows and stuff. I get attracted to such things like bee to honey. Enjoy your moments. They do look lovely and I can imagine the cost. i have so enjoyed following you on your trip l am in herne Hill a suburb of geelong so the last few days of your posts have been interesting for me to read, l have never been to the great ocean road myself, but the thought of it on that road no thanks, Enjoy your trip. Thank you Susan 🙂 So happy to meet you here. I know what you mean – it’s curvy, buT so very beautiful ! Such beautiful country. Reminds me some of northern California, Oregon, and Washington. But what did you buy at that store?